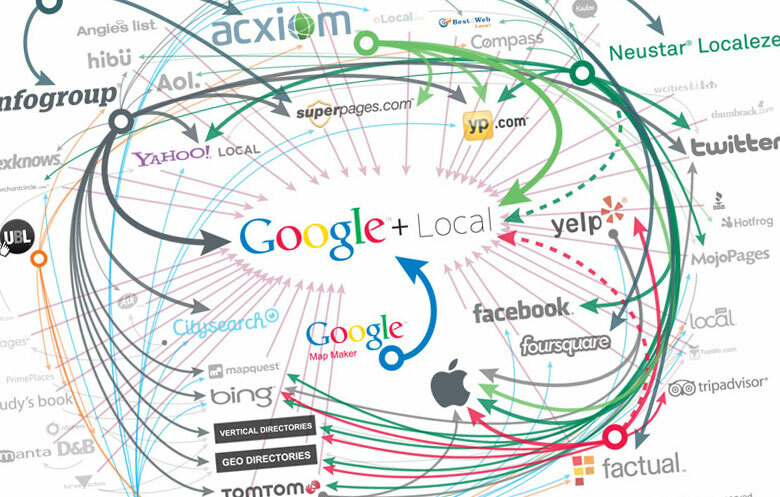 Most small businesses are starting to understand the importance of local SEO. With competition from local and national companies, anything you can do to help drive more customers to your brand should be considered. After all, it’s reported that 60% of all organic clicks go to the top 3 organic search results. If you’re a small business that is looking for ways to improve your search ranking results, practice the following five techniques to boost your search engine optimization (SEO) efforts. One of the most important aspects of your SEO effort is keyword usage. Search engines use robots to crawl your website, looking for specific language and words that can help it understand the context of your page. By including relevant keywords to your page and subsequently your site, you can improve your rankings when people use search queries involving those keywords. In order to use strategic keywords, you need to discover which ones are most searched by your target audience. You can find the most searched for terms on Google by using a variety of keyword tools. Once you know which keywords to target, strategically place them throughout your content in a natural, organic way. It’s important to not overuse keywords for the sake of trying to manipulate your search results because keyword stuffing can lead to a search penalty. Thus, it’s important to write with your audience in mind, while including relevant keywords when applicable. Title tags are the short description of a Web page that appears in search results after the title. When creating title tags for your pages, make them short, since Google displays only 50 to 60 words. You also want to make sure that your title tag is to the point, clearly states what the page is about, and includes targeted keywords. Another tip for title tags is to create tags that entice click-throughs. These tags follow the title on search results and can be a useful way for you to better communicate what content is on that page. A strategically written title tag can improve your click-through rate and ultimately increase your search traffic. Both website users and web aggregators like going to websites and easily finding their way around the sites. A site map is a specific web page designated for listing and organizing all the content on your site. A site map is especially useful in communicating to search engines the hierarchy of your site. Site maps also help dictate the value of your pages, emphasizing to search engines the pages that you think are most representative of your website. Another easy way to increase your local search rankings is to update your content regularly. Search engines crawl sites periodically to find new pages that they can index in their results. They crawl sites more frequently when they see that those sites are updating their pages often. Thus, the more you update your content, the more frequently search engines will crawl your site. You may not want to update the main pages of your website regularly because you think your content is sufficient, but add a section that you continually update, such as a blog, a page where you list sales items, or a daily or weekly news update collection. All of these pages are easy to add content to regularly. They don’t detract from the value of your home or “about us” pages, but they significantly increase your website’s search ranking. Not only do you have tools to improve your general search rankings, but you can also do several tasks to get your website into the Google Maps 3-Pack. The Google Maps 3-Pack refers to the top three display areas that appear at the top of listings on the first search engine results page for many local terms. To understand how your website can rank in the Google Maps 3-Pack, consider increasing your amount of reviews and optimizing your business listing for proper keywords. While these techniques are no guarantee that your business website will rise to the top of the first page of search results, they can help improve your overall search rankings. Experiment with these ideas and others to help you leverage the power of search engines. Keep in mind, the more visitors you get to your website, the more likely you are to see an uptick in sales. As a local business, increasing your search results can make all the difference.